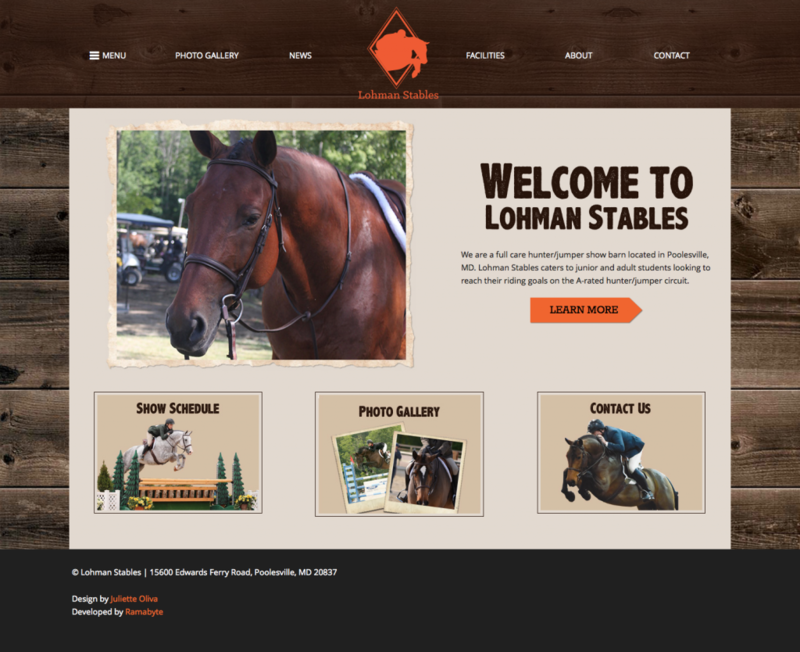 Lohman Stables is a full care hunter/jumper show barn located in Poolesville, MD. Lohman Stables caters to junior and adult students looking to reach their riding goals on the A-rated hunter/jumper circuit. Alan Lohman also accepts horses into the training and sales programs. Lohman Stables travels most weeks of the year throughout USEF Zones 2 and 3 to NCHJA, VHSA, MHSA and CPHJA hunter/jumper shows. I was hired to do the development of the site by the designer of the project, who had previously worked with this client on her previous website for the stables. The client originally had an out-dated site that was coded in .ASP and non-semantic HTML so we decided to bring the new site design to WordPress and made the site responsive as well. The site features information about their facilities, horses for sale, latest news, and upcoming events. The re-design was a treat to develop because of it’s unique design and the challenge to meet the clients requirements. The site had an extra special launch on the owners birthday – a surprise birthday present from his wife.